Do you ever feel like an imposter? More than likely, what you are feeling is a form of self-doubt. In my years of pastoring, coaching and counseling, I have come to realize that self-doubt can sabotage one’s future. Fear and self-doubt can be downright crippling. If you want to experience life to full, you need to get this under control. The easy thing to do is quit. Quit dreaming. Quit setting goals. Quit aspiring for more. Quit endeavoring to make a difference and leaving a legacy. The easy way isn’t the best way! This negative, defeated mindset is a severely limited way to approach life. 1. Examine the source of your self-doubt. 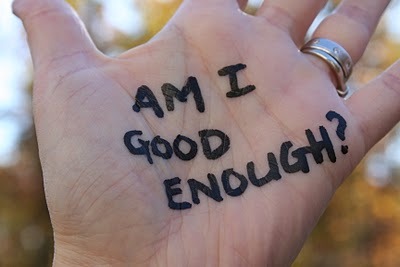 Why do you have self-doubt? What is the source of your doubt? Is this source reliable? Perhaps you’ll realize that you don’t have a legitimate reason to doubt yourself at all. Did someone you respect speak over your life in a way that made you feel inferior? Although this may have been hurtful, the truth is: there is a multitude of reasons why they may have said something hurtful. The most common reasons are 1) they were simply having a bad day and didn’t choose their words wisely or 2) they use disparaging words in order to make themselves feel better. Regardless of the reason, your opinion of yourself shouldn’t be formed by what another person says or even thinks. If you are a believer, remember this – You are who God says you are! You have been blessed with every spiritual blessing in the heavenly places. 2. Skip being perfect. Perfection is unattainable. The pursuit of perfection creates anxiety. Certainly, you’ll feel self-doubt if perfection is your goal. Shoot for excellence, not perfection! Excellence is defined as doing the best you can with what you have. After you have done your best, rest in the knowledge of that fact. 3. Realize that everyone has self-doubt. You’re not alone. When you are in the company of people you admire and self-doubt creeps in, please know that they are also experiencing it. Some people just hide it better than others. When you start wondering “am I smart enough?”, “Do I belong in this room?” or “do I have what it takes?”, take a moment to remind yourself that the others in the room also have those same questions and battling their own self-doubt. Avoid the urge to give in to these emotions. Determine in your heart that you can be all that God has called you to be and you can live life to the fullest. Refuse to allow self-doubt to limit your life. Why should you go on a short term mission trip? Chelsea on Church Model Debate?